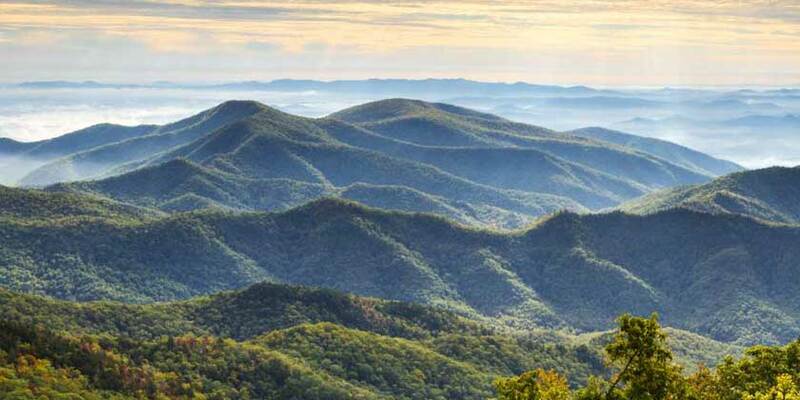 Asheville, North Carolina is the gem of the Blue Ridge Mountains. Its mild mountain climate and location on the Appalachian Trail make it ideal for an active vacation, while the city itself is bursting with art, music and history. The Downtown and River Arts Districts are packed with galleries and studios of all kinds, along with music venues buzzing with bluegrass, Appalachian folk, jazz and more. With a plethora of local breweries and several beer festivals throughout the year, the city has earned the nickname "Beer City, USA." Asheville’s pleasant mix of southern roots and mountain spirit keeps visitors coming back again and again.